Home - Support us - The difference you make - Where does your money go? Your donations are hugely important and fund a range of therapies and services which make a tremendous difference to the quality of a person’s life. 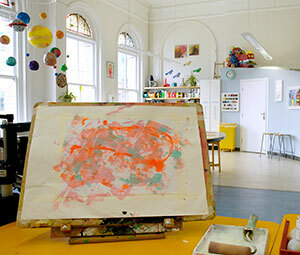 Our art room is a great example of what can be achieved with donations. Opened in 2012, it’s a much loved and well used resource in the hospital. Read Stephen’s story and see just how much of a difference, this dedicated space makes to the lives of some of our patients.